The Full Moon Party is an event that almost every Southeast Asian traveler has heard of. 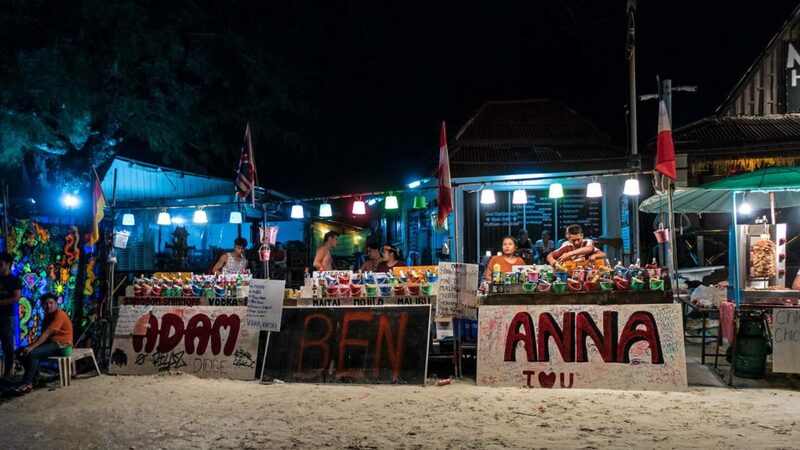 The Full Moon Party on Koh Phangan is well known far beyond the borders of Thailand. In this article we would like to give you all the important information about one of the largest beach parties in Thailand and even Southeast Asia. 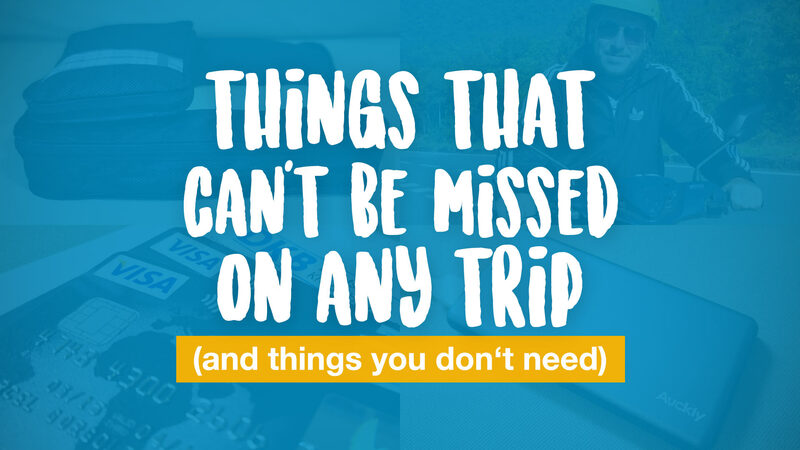 Of course, it’s primarily about the dates, but also about important safety information and about getting to Koh Phangan, as well as the Full Moon Party itself. We would like to share our experiences with you, because for some years we live on Koh Phangan and have already participated in some Full Moon Partys. The very first Full Moon Party we experienced on our first long journey through Asia in 2013. Today we have a very different relationship and different insights to the Full Moon Party. You can be sure that this article will give you up-to-date first-hand information. The Full Moon Party has been around on Koh Phangan since the late 1980’s (nobody knows the exact year). 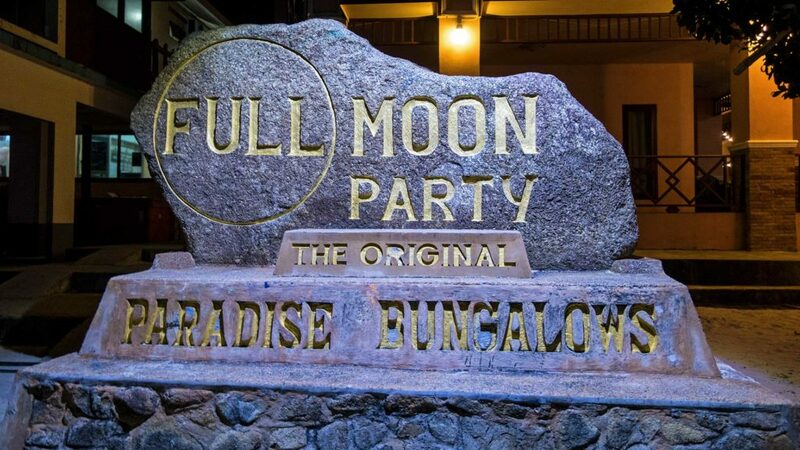 At that time, a group of about 30 people gathered at the Paradise Bungalows (which still exist today, by the way) and spontaneously celebrated the first Full Moon Party there. The way to the village Haad Rin, the place where the Full Moon Party takes place, was still unpaved at that time and far from being as accessible as it is today. It was an absolute insider tip. Today, more than 30 years later, the Full Moon Party is Thailand’s largest beach party and is known to every Southeast Asian traveler. 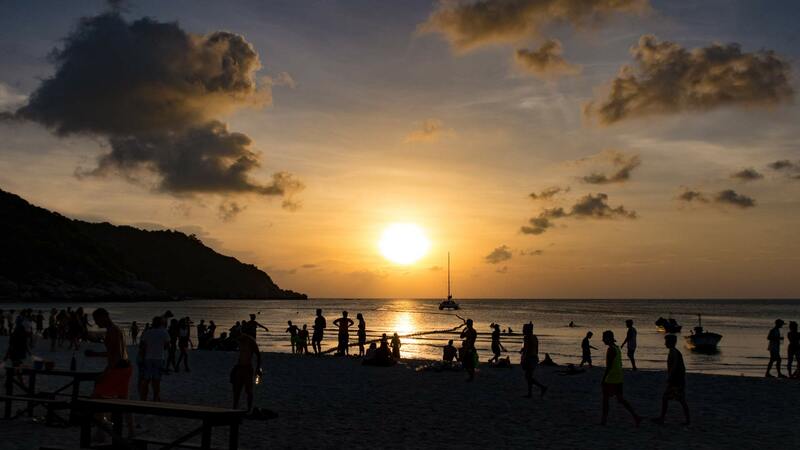 Depending on the season and month, between 5,000 and 30,000 people from all over the world come to the Haad Rin Nok Beach, as the Full Moon Party Beach is actually called. At the Full Moon Party you will mostly hear electronic music: techno, house, trance, psy-trance etc. But also other genres like drum and bass, pop and hip hop are represented. However, electronic music clearly outweighs it. Not infrequently even internationally known DJs come to Koh Phangan, who play their sets there until sunrise. Of course, there are now professional music systems spread across the large resorts on Haad Rin Beach. 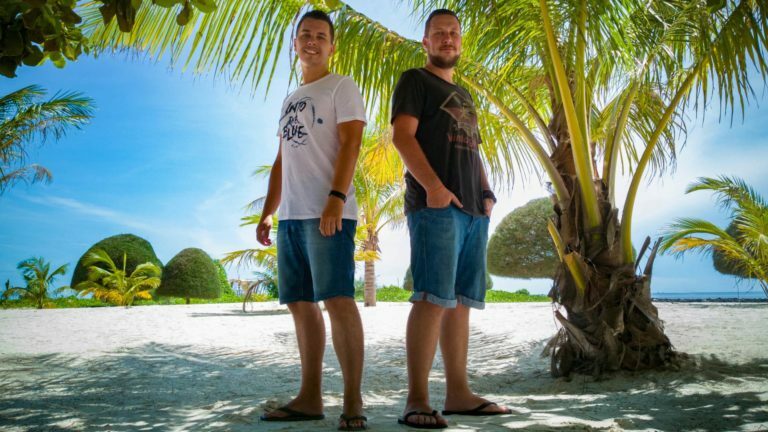 Short and compact – here you will find all dates of the Full Moon Party 2019 and 2020 for your travel planing. Mostly the party takes place exactly on the full moon day of each month. 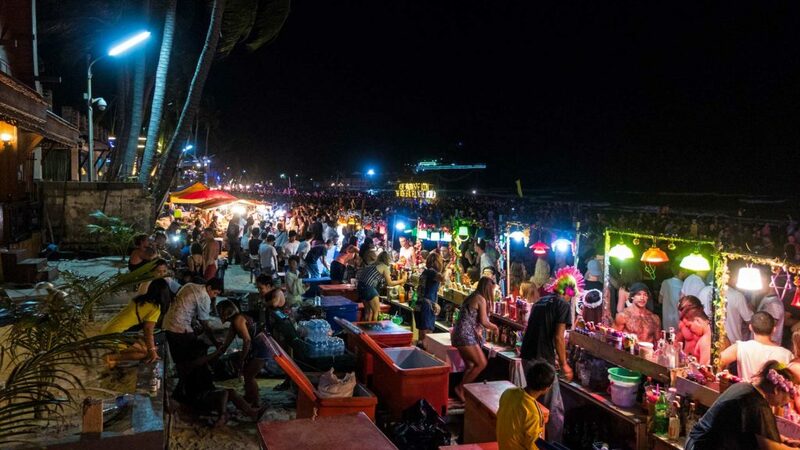 However, as there are sometimes important Buddhist holidays on these days and the consumption and sale of alcohol is banned, the date of the Full Moon Party is postponed by one to two days. Also note that it can happen in rare cases that the party is spontaneously canceled completely. This was e.g. most recently the case after the death of the Thai King Bhumibol Adulyadej in 2016. Every year on Haad Rin a big beach party takes place on New Year’s Eve. This is not a Full Moon Party, as there is no full moon on this day. Basically, it does not differ from the normal Full Moon Partys, except that at midnight there is a huge firework on Haad Rin Beach. Please also note that this is absolute peak season and you should book your accommodation very early. The prices shoot up extremely and often the entire island is fully booked, if you are late. If you are already on Koh Phangan, it is very easy to come to the Full Moon Party. On the main road from Thong Sala to Haad Rin, taxis (so-called “Songthaews”) go almost every minute to Haad Rin and back. A ride here basically costs 100 baht per direction and the price is not negotiable. Songthaews also go from other parts of the island, but less often and at a higher price. If you live outside of the main areas, almost every accommodation on Koh Phangan offers a transport to the Full Moon Party. This is a very safe variant that we basically can recommend. We generally advise against traveling by yourself with the scooter, unless you are not drinking alcohol and you are an experienced scooter driver. Otherwise, just leave your scooter for safety reasons and take the taxi. It should also be noted that many areas in Haad Rin are closed and it is not easy to find a parking space if you don’t know about the location. In the end, there are just two ways you can travel from Koh Samui to Koh Phangan to the Full Moon Party. Either on your own with one of the daily ferries – from Maenam with Lomprayah, Bangrak with Seatran, Big Buddha Pier with the Haad Rin Queen – or an organized speedboat tour. It is cheaper if you’re traveling to Koh Phangan with one of the ferries yourself and if you do not have accommodation on Koh Phangan, just get back to Koh Samui around 7 A.M. Here you will pay about 600 baht for a round trip plus 200 baht taxi ride (round trip) to Haad Rin Beach, where the Full Moon Party takes place on Koh Phangan. However, the organized speedboat service is much more convenient. Prices usually start at 2000 baht for a package. It includes pick-up from your hotel on Koh Samui, the speed boat ride to Haad Rin, and the entire tour back. 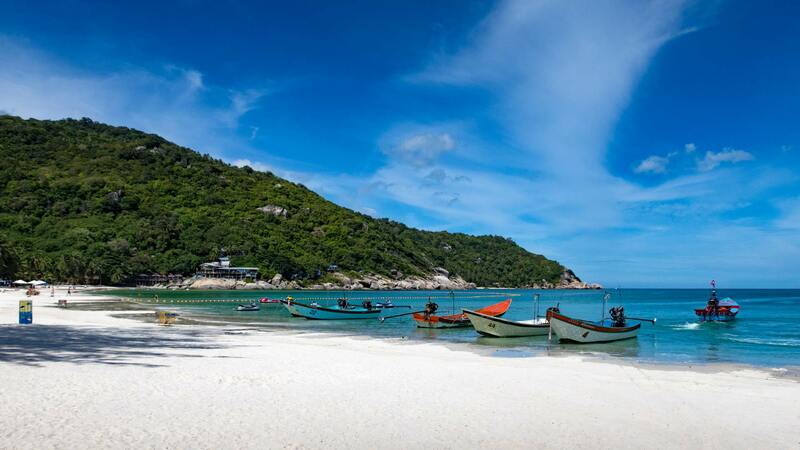 Speedboats return to Koh Samui every hour and you don’t have to wait until 7 A.M. Tip: Here you can also conveniently book the transport to the Full Moon Party in advance. This way you don’t need to worry anymore. Only the entrance of 100 baht to the Full Moon Party you will have to pay extra. There are many different ways to get from Bangkok to Koh Phangan: by train, bus, flight. Which you choose, of course, depends on your budget and your time. The fastest option is undoubtedly the flight. You can fly from Bangkok either directly to Koh Samui or to Surat Thani on the mainland. The flight to Koh Samui is usually very expensive, but from time to time there are great deals. Things are much cheaper from Bangkok to Surat Thani with AirAsia. You can check out cheap flights on Skyscanner. By the way, another option would be to fly to Nakhon Si Thammarat – but we don’t want to go into that here. From Surat Thani you will only have a bus ride and a boat trip ahead of you. Also with the boats there are many possibilities. We almost always take Lomprayah, because it’s simply the fastest way. Tickets can be bought directly in the arrival hall at Surat Thani Airport. There are also bus and train connections from Bangkok to the south of Thailand. The Bangkok – Surat Thani train is very popular and a great experience if you are not in a hurry. This is also a very cheap option. The best way to check the connections from Bangkok is on 12go.asia. To visit the Full Moon Party, you don’t necessarily have to stay overnight on Koh Phangan. However, we strongly recommend a stay of up to one week on Koh Phangan to explore the beautiful island away from the parties. It has so much to offer and has the most beautiful beaches in the Gulf of Thailand. You can find more about this later in the article. You should also be aware that many hotels do have a minimum stay for the Full Moon Party. This means that you have to book at least 3 to 5 nights at this time. In Haad Rin there is sometimes even a minimum stay of up to 7 days. In Haad Rin there is a wide choice of accommodation, whether hostels, bungalows or better hotels. Many of them are right on the two Haad Rin beaches Haad Rin Nok and Haad Rin Nai. It is a bit cheaper when you’re away from the beach. In the town of Haad Rin you will find many more accommodations from which you can easily reach the Full Moon Party by foot. Tip: Please note that Haad Rin is a very busy place. 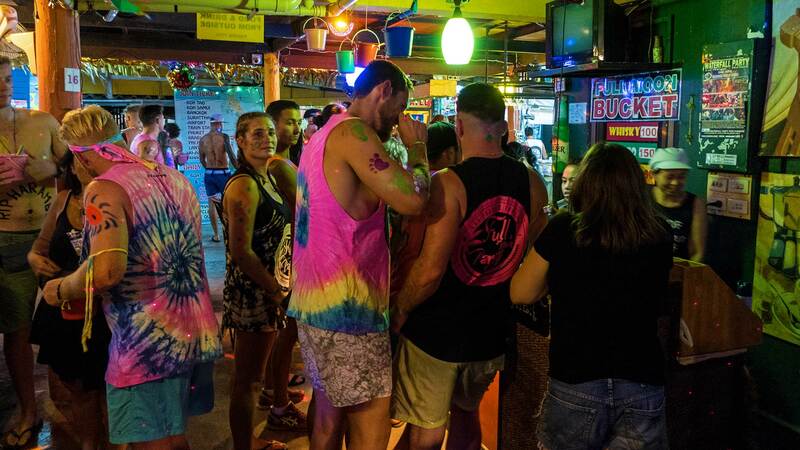 Especially in the Full Moon Party time, it can be a bit noisy and hectic in the village, this also applies to the days before the party. If you like it a little quieter, then you might want to look for accommodations on Leela Beach. Hotels like the Cocohut and The Cabin are creme de la creme. Leela Beach is one of Koh Phangan’s most beautiful beaches and just minutes away from Haad Rin center. The clientele there has nothing to do with the typical party-goers. Maybe you are looking for exactly that? Of course, you don’t have to spend the night in Haad Rin to attend the Full Moon Party. Koh Phangan is one of the most versatile islands in Thailand and you have a great selection of beautiful other places and beaches. Many of them are much quieter and you can get to the Full Moon Party from all accommodations on the island. The days before the Full Moon Party are already filled with parties and events, e.g. the Jungle Experience or Waterfall Party. For all current events, visit Phanganist. 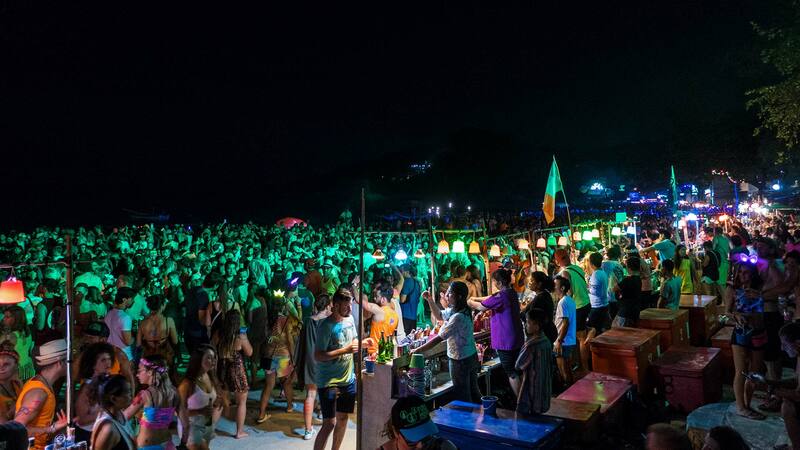 Every Sunday before the Full Moon Party you can dance to good house music at Loi Lay in Ban Tai. If you want to stay longer on Koh Phangan, don’t miss the Half Moon Party, too. The tickets cost a bit more, but the atmosphere in the middle of the jungle is really unique. If you want to pre-party in Haad Rin in a happy atmosphere with cheap drinks, then check out the Jaya Hostel. It is located in the center of Haad Rin near the lake. There, on the evening of the Full Moon Party, a pre-party will take place where you can also paint yourself and meet other party people. In addition, the drinks cost comparatively little there. Go to the beach only with solid shoes or at least flip flops, as there may be broken glass or sharp objects in the sand. Hide your valuables (credit card, mobile phone, camera, etc.) well or leave them best in the hotel safe. There are also a few pickpockets in the crowds. Besides, it can easily happen that you lose something. Even if you are not drunk. A money pouch or another secure bag is very helpful. Don’t take drugs, even though they are likely to be offered to you often. The sentences in Thailand are a lot higher than in Europe etc. and you can very easily end up in jail. Don’t drive your own scooter to the party, but rather take a taxi. Never drive under the influence of alcohol or drugs. There are unfortunately many accidents happening during full moon. Make sure you buy closed beer bottles or high percentage alcohol that is opened for you (sealed lids). Basically, the bucket sellers do offer proper alcohol, but there are always some black sheep. Be sure to drink enough water in between. After all, you should still be able to control yourself and know what you are doing. It also protects you from dehydration. Never fight with local Thais, but also Burmese (of course also not with other tourists). Just stay cool. This can quickly lead to a big brawl in the crowd and thus hurt innocent people around. Don’t do fire rope jumping etc. You can burn yourself quickly, especially if you have been drinking and your coordination skills are poor. You certainly don’t want to spend the next day at the doctor’s or in the hospital. Here is a small cost estimate for the Full Moon Party, so you have some idea of what to expect. A major criticism of the Full Moon Party is of course the garbage and the dirt. That the people pee directly into the sea is true. The garbage thing is not quite right. It is true that the beach is littered after the party. BUT: Shortly after sunrise, the resident resorts start cleaning their beach section. The bucket sellers also do their part and clear away their own garbage. That the beach is totally littered days after the party, as it is often told, is not true! The Haad Rin Nok Beach often looks the same as it did before, just the afternoon after the Full Moon Party. If you are still not tired after the Full Moon Party, when the sun rises again on Haad Rin, then you can visit the Backyard Full Moon After Party at Moon Paradise. The event starts at 7 A.M., right after the Full Moon Party. 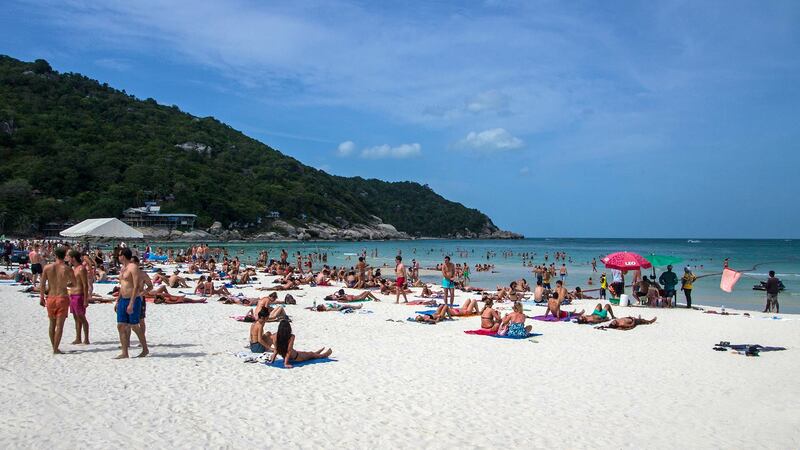 Very important: Koh Phangan is not only the Full Moon Party! The island has so much more to offer and in addition to the countless parties, there is plenty to see: gorgeous paradise beaches, great viewpoints, chilled sunset bars, many hiking opportunities and much more. You can and should spend at least a few days on the island and discover its beauty instead of just partying and getting drunk at the hostel. Even unforgettable scooter tours are possible on Koh Phangan. What you can do before and after the Full Moon Party can be found in our Koh Phangan category. You should also read this article. Tip: If you’re already in Haad Rin and have some spare time, do not miss a trip to Haad Yuan. In our opinion, it is one of the most beautiful beaches on the island. 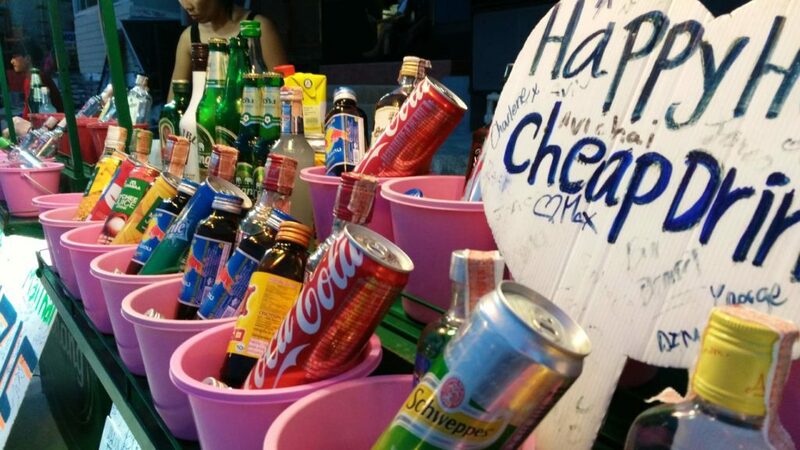 Koh Samui and Phuket: Full Moon Party – not just on Koh Phangan? There is no real Full Moon Party on Koh Samui. No need! There are occasional attempts to launch their own full moon parties, but with most visitors heading to Koh Phangan for the night, it actually makes no sense. However, other lunar parties are organized on Koh Samui, such as the Half Moon Party at Cha Cha Moon Beach Club or the Black Moon Party at Chaweng Lake. But don’t expect huge parties, you really should go to Koh Phangan instead. Phuket indeed has its own Full Moon Party. Of course, this doesn’t come close to the original one on Koh Phangan, but basically offers the same atmosphere. It takes place during the monthly full moon on Paradise Beach near Patong. Admission is much higher and the beach is also much smaller than Haad Rin Beach. Still, it can be a nice alternative if you don’t want to travel to Koh Phangan. Conclusion: Is the Full Moon Party worth a visit? Even though the Full Moon Party has passed its golden age, we still think that you can visit this spectacle (can, but not necessarily have to). Even if it’s a mass event with unfortunately many people who are drunk and misbehave senselessly, you can still have a lot of fun. We also go every now and then and never have any problems. The Full Moon Party definitely has its dark side and you should know that. But of course it’s not all bad and if YOU don’t get too drunk and completely lose control, you’ll probably have a lot of fun and will meet cool people. If, like us, you are not particularly into the electronic music genre, you can still celebrate well. As mentioned earlier, some Black Music or pop is also played in the Drop In Bar or the Cactus Bar. The Sunrise Resort has some cool Drum and Bass sounds. Koh Phangan has many great alternatives to the Full Moon Party nowadays, but it’s still undoubtedly a classic! 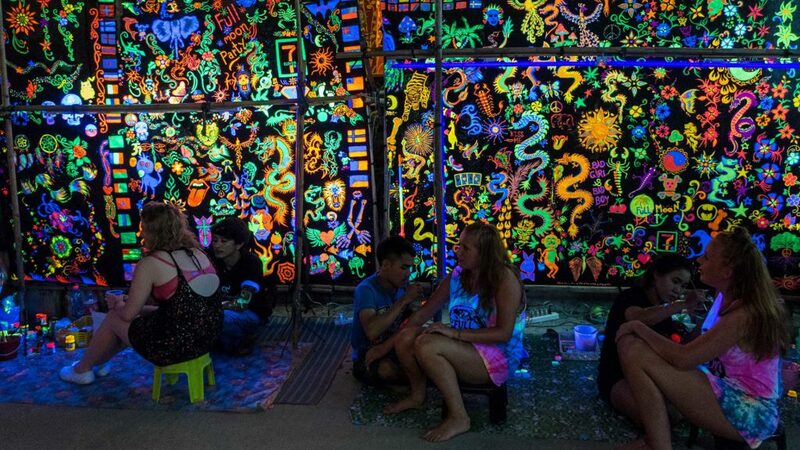 Have you been to the Full Moon Party on Koh Phangan? How did you like it or what are your experiences on Thailand’s biggest beach party? So sorry to read this Anna. You should post the question in trip advisor as you’re more likely to find someone who might have been there. No doubt you’ve already contacted the tourist police on the island? My son was recently at the full moon party that took place on Feb 21, 2019 and lost his life. I am trying to find someone familiar with the area to get answers on who possibly transported him after he collapsed on the beach to the first hospital. I am trying to find out if he was ever able to speak or give any idea that he wasnt feeling well when he arrived at the first hospital before they sent him to the second hospital.